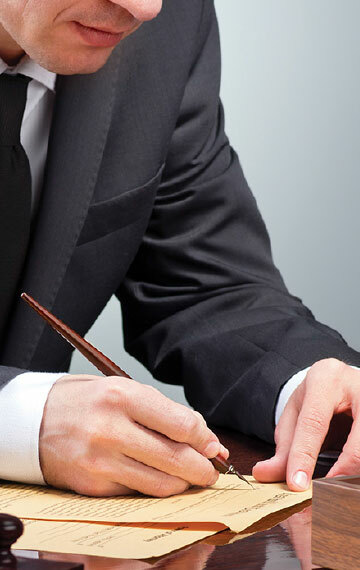 Shepperson Attorneys is a boutique law firm specialising in providing commercial and property law services. Our team of experts, headed by owner, Gareth Shepperson, pride themselves in offering genuinely exceptional client service that differentiates the firm in the marketplace. We focus on identifying and resolving the issues facing a client as rapidly and seamlessly as possible in a partnership approach that has the client’s peace of mind as its priority. Our aim is to be a long-term partner of our clients. We believe it is our duty to contribute to a client’s sustainable success through sound advice, good governance and ethical dealings. We will not compromise our values by entering into suspect activities. The Corporate and Commercial Law Department offer our clients a hands-on business focused service that provides solutions to the client’s real world problems. We are not only experienced in the law but experienced in business which affords us the unique opportunity of being able to look at the issues from the client’s perspective. Our aim is to create long-term partnerships with our clients through the provision of business orientated cutting edge advice. Commercial contract expertise has been developed into one of our key service offerings. We assist clients by perusing their contracts and provide help with drafting of contracts such as sale agreements, lease agreements and building contracts. We advise and assist company Boards and CEOs with drafting and registering any of the various forms of companies and trusts, and drawing up of Memoranda of Incorporation (MOI’s) and partnership agreements. We have registered Trusts to accommodate the BBBEE shareholding of numerous JSE listed companies. The Shepperson team is adept at handling a wide range of litigation that can arise from property and general commercial contractual arrangements, including High Court actions, and administrative appeals. Gareth is a member of the Institute of Directors of South Africa and a member of the SIRDAR Governance Panel. His experience in these entities, provide clients with additional discernment into the workings of Corporate Governance. We routinely advise companies and various other organisations on the entire spectrum of corporate governance issues and compliance with the latest regulatory requirements. The Shepperson Property Law Department attends to the registration of property developments in South Africa, irrespective of size or complexity. Our holistic service embraces all aspects and phases of a development, including the opening and registration of sectional title registers, the registration and proclamation of townships, as well as the registration of subdivisions, consolidations and servitudes. We assist Developers and Purchasers in all aspects of the transfer process, from acquisition of land for development, through whatever subdivisions and consolidations may be required. Our service includes attending to the registration of transfers and bonds of the individual units or even to ensure that all aspects of a transfer are completed efficiently and effectively, we liaise closely with project managers, architects, builders, town planners, surveyors, local councils, the Surveyor General’s office, mortgage originators and SARS. Gareth’s Blog known as SHEPPERSON’S FIRST LAW is an industry leader in the provision of Property related news, thoughts and advice. The Blog is read by over 4,000 readers a month.